Hagerty, an automotive insurance source with a U.S. office in Traverse City, unveiled data Tuesday that shows Gen Xers and millennials are seeking vehicle values via Hagerty’s Valuation Tools and classic vehicle insurance quotes more often than baby boomers and pre-boomers by a roughly 53-47 percent margin. The trend reflects a growing classic car interest among these two younger generations. Hagerty estimates that, given current trends, millennials, who comprise the nation’s largest generation, will become the hobby’s single largest group in five years. Overall, requests for values and quotes from all generation are up 17 percent in 2018 year-over-year, indicating a healthy market and continuing interest in cars and driving across generations, says John Wiley, an analyst with Hagerty. A Hagerty survey conducted earlier this year indicated that 78 percent of Gen Xers and 81 percent of millennials like, love, or are passionate about driving, compared to 79 percent of baby boomers. The most popular vehicle among baby boomers, Gen Xers, and millennials is the 1965-1966 Ford Mustang. Mustangs, Camaros, and Corvettes historically transcend generations, according to Wiley, as do cars build in the late 1960s. The Ford Model A, however, is the most popular car among enthusiasts born before 1946, or pre-boomers. It falls to 38th place among millennials. Trucks and SUVs have a strong following by younger buyers. 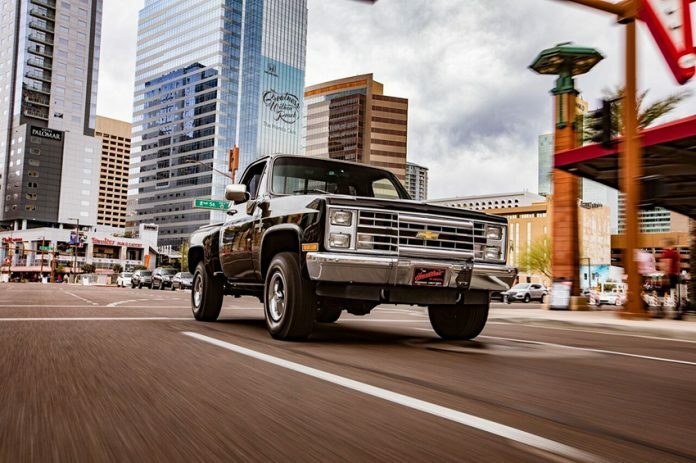 The 1973-87 C/K Series Chevrolet pickup is the second most popular among millennials and fifth most popular among Gen Xers. Members of these two groups are 35 percent more likely to be interested in a truck or SUV compared to pre-boomers and boomers. “Vintage pickups offer a very affordable way into the hobby for a lot of collectors, so it makes sense that as you move from older to younger enthusiasts you see pickups move up the list in popularity,” says Wiley. American nameplates are by far the most popular with buyers of all generations, but millennials quote Japanese cars four times more often than pre-boomers. Pre-boomers are three times more likely to seek information on British cars than millennials. German cars remain popular across generations. Hagerty launched the Hagerty Drivers Club this month, the largest community of car enthusiasts in the world. The club features members-only access to events, discounts, services, and Hagerty’s magazine. Hagerty has offices in the U.S., Canada, and the United Kingdom and is the global leader in collector car insurance. Its other U.S. office is in Colorado. Previous articleBlog: Calling All Frustrated Minority Shareholders: Are You Being Oppressed?